Is your company looking to find the most innovative and productive cloud-based reporting application? Would you like to combine your CRM with your accounting software to provide you with an amazing streamline automation accounting application that maximizes financial reporting for your professional service? Is it important for your company to have the best set of tools available to manage your reports? Look no further. 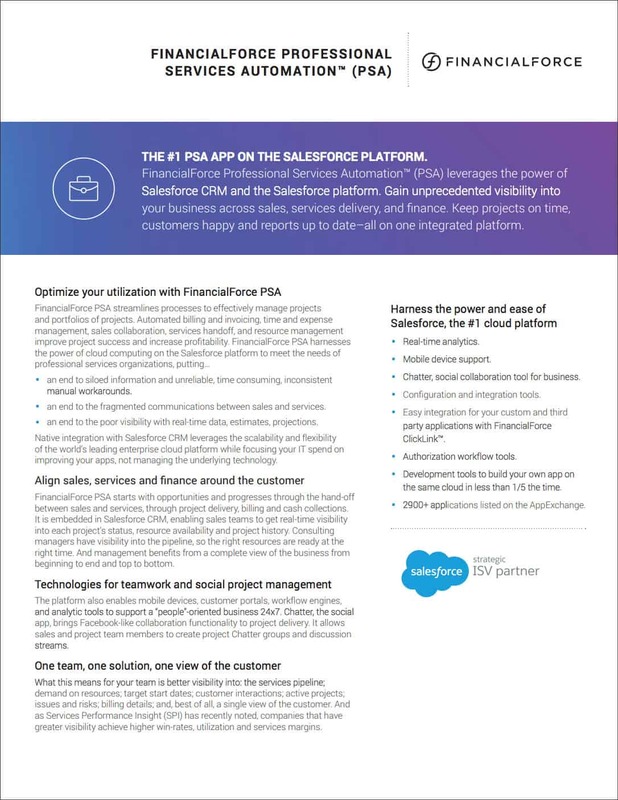 FinancialForce.com is a revolutionary accounting application that has integrated into the Salesforce platform. Supercharge your services business with the next generation of anytime anywhere cloud applications. FinancialForce provides better reporting for professional services in order to streamline and optimize their business focused on people, task, project, and client management.